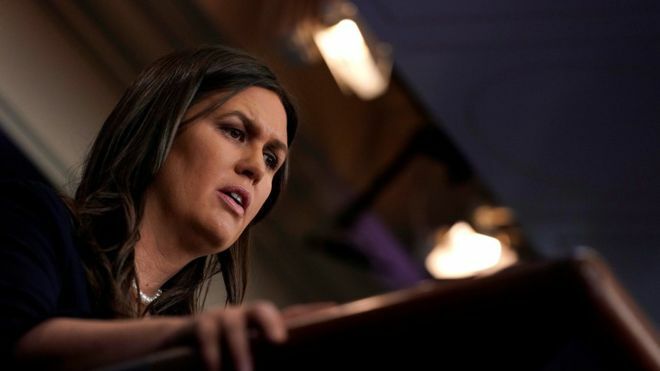 White House Press Secretary Sarah Sanders recently slammed Democrats for vowing to block any candidate the president nominates for Supreme Court justice. During an interview Tuesday, Sanders said the left will do anything to obstruct the Trump administration’s agenda regardless if it’s good for the country. She noted President Trump has yet to nominate a candidate to replace Justice Anthony Kennedy, and Democrats are already making plans to block the confirmation process. Sanders confirmed the president met with four candidates on Monday, and will announce his nomination next week. She did not specify any names on the president’s list, but said he is looking for someone with tremendous intellect and constitutional values.